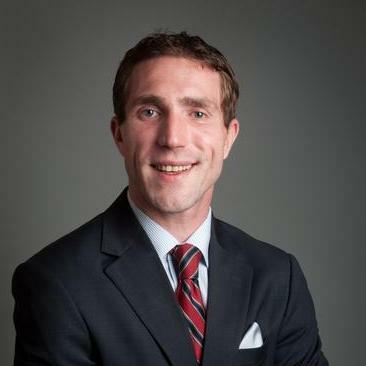 "Brian is an expert in all areas of corporate law...so much experience with start ups." Brian is an attorney, entrepreneur and business adviser. His practice is focused on corporate, transactional, securities and employment law. Brian is experienced in corporate transactions (US based and cross-border), commercial contracts, investment fund formation, debt and equity financings, inbound and outbound investments, transactional due diligence, securities law and regulatory compliance, corporate structuring, private placements, initial public offerings, public company filings, venture capital and private equity.Prior to becoming an attorney, Brian was the founder and Managing Director of eWired Auctions, LLC, and In Vivo Capital,… read more LLC, an angel investment fund. "Excellent attorney for startups. Very helpful explaining complicated information in an easily to understand manner." "Brian and his team have gone above and beyond in getting our 506(c) the exposure it needed for funding. Brian's knowledge, expertise and assistance is all you need for your legal needs." "This is my second time working with Brian. He again delivered exceptional quality of service with extremely tight turn around time. Highly recommend to anyone. Will definitely do business again." "Awesome attorney! Fantastic partner. Very resourceful and insightful. Highly recommend. Will definitely do business again." "Brian was hands down the best attorney I have ever worked with. Communicative, responsive, honest, and hardworking. I plan on using Brian for all future matters and referring him to anyone in need of a lawyer." Served as in-house attorney, adviser and litigator. Mediated or litigated contract and disciplinary grievances and disputes; litigated breach of contract cases; investigated/litigated allegations of harassment, discrimination & retaliation. Founder and manager of a customized software and mobile applications company. Responsible for all day to day activities of the company; drafted all related corporate documents including operating agreements, vendor contracts, non-disclosure, non-compete and non-solicitation agreements.